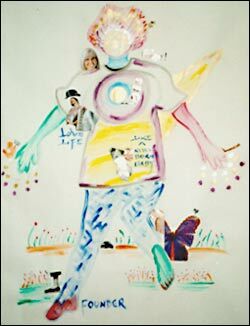 The magic of Art Therapy cannot be described in a few paragraphs but essentially there are two very effective ways in which this approach to personal growth and healing transpire. The first is in the actual doing - whether it is through picking up a brush and experiencing the wonder of choosing a color and connecting with paper or canvas and having one's unconscious pour forth through this enjoyable process (or picking up pen and writing on a given image or subject, dancing to music, beating drums, sounding out feelings), all in the safe presence of the therapist; or, the emphasis can be focused more on the second therapeutic approach in which practitioner and client discuss and relate through the latent messages inherent in the work at hand. 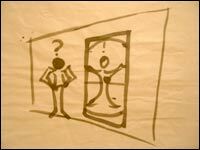 Internal conflicts and resolutions frequently find definition without discussion…the mere process engenders growth. 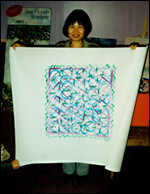 My approach intuitively integrates both when appropriate, and my style is a naturally enthusiastic one in which I support the individual to discover the joy and power of freeing themselves from inhibitions - no matter what medium the client is drawn to - preferably integrating them all as I do in my workshops called: Self Discovery Through Self Expression. This is where clients are guided through gentle movement, an inward visualization process that then becomes expressed with music through movement and dance, is then painted or drawn out and finally reflected upon through writing and verbal sharing if moved to. Inevitably, participants are amazed at the what comes out of them in these non-judgemental, inspirational environments: feelings and challenges are clarified, personal empowerment felt, solutions imagined and embodied and taken into their lives and relationships where final transformation is measurable. 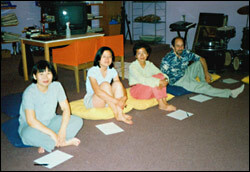 Hut Humble, a uniquely beautiful holistic center created in the Auburndale section of Flushing, NY, was the home of the first eight week "Self Discovery Through Self Expression" class where students worked on life-sized self-portraits. Each week we witnessed and heard of deeply gratifying discoveries and changes ignited by this personal "play". 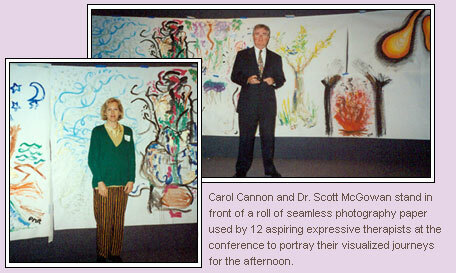 The 16th Annual Conference of The National Expressive Therapy Association was held at the C.W. Post Campus and co-sponsored by the Long Island University's Graduate School of Education, Dept. of Counseling and Development - featuring the "Self Discovery Through Self Expression" workshop among the many.